WASHINGTON, DC, January 30, 2017 (ENS) – U.S. Senator Charles Schumer and U.S. Senator Kirsten Gillibrand, both New York Democrats, Friday called on the U.S. Environmental Protection Agency to “prioritize and accelerate” the risk evaluation for 1,4-dioxane, a potential carcinogen found in 71 percent of Long Island water supply systems. “State officials and water districts are struggling to coordinate the best course of action and are in need of more data, analysis and direction from the EPA. Concerned residents and municipalities have reached out for guidance on how to mitigate the effects of this spreading contaminant,” the two senators wrote. Under the newly passed Toxic Substances Control Act, TSCA, reform bill, 1,4-dioxane was named by EPA as one of the first 10 chemicals to be evaluated for potential risks to human health and the environment. But President Donald Trump has indicated his intention to weaken and defund the EPA through his nominee for EPA administration, Oklahoma Attorney General Scott Pruitt, who has sued the EPA 14 times in the recent past. “It’s unacceptable that while the drinking water on Long Island is contaminated with a possible carcinogen, the EPA is not acting with the urgency that the situation requires in order clean up our water supply,” said Senator Gillibrand, a member of the Senate Environment and Public Works Committee. On June 22, 2016, the Frank R. Lautenberg Chemical Safety for the 21st Century Act which amends the Toxic Substances Control Act, the nation’s primary chemicals management law was signed into law with bipartisan support in both the House of Representatives and the Senate. The chemical 1,4-dioxane is currently unregulated and there is no federal maximum contaminant level for 1,4-dioxane in drinking water. A 2014 technical fact sheet compiled by the EPA shows that 1,4-dioxane is found at many federal facilities because of its widespread use as a stabilizer in some chlorinated solvents, paint strippers, greases and waxes. In November, the EPA announced the first 10 chemicals it would evaluate for potential risks to human health and the environment, and 1,4-dioxane is one of the 10 chemicals listed. The risk assessment is intended to determine whether the chemical presents an unreasonable risk to humans and the environment. If it is determined that the chemical presents an unreasonable risk, the EPA must mitigate that risk within two years. Schumer said that because the chemical has been found in the majority of Long Island water supply systems, the EPA must speed up the TSCA risk evaluation for 1,4-dioxane to determine any health hazards associated with the chemical. If warranted, he advised, the EPA should take immediate steps to establish a Maximum Contaminant Level. An EPA survey from August looked at 28 public water districts on Long Island. The survey suggested that Long Island water suppliers exceeded the national average for traces of 1,4-dioxane. The survey suggests that the chemical is more prevalent on Long Island than anywhere else in New York State. 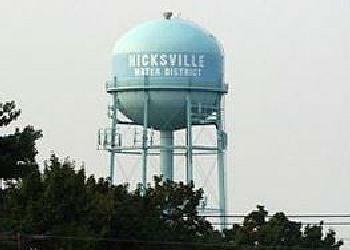 The highest concentration of 1,4-dioxane was found in a well at the Hicksville Water District at 33 parts per billion, which has an estimated cancer risk of approximately one in 10,000 after extensive lifetime exposure. The EPA lists 1,4-dioxane as a likely human carcinogen by all routes of exposure. The agency finds that short-term exposure may cause eye, nose and throat irritation while long-term exposure may cause kidney and liver damage. There is currently no federal maximum contaminant level for 1,4-dioxane in drinking water, nor is there a state-approved method for removing 1,4-dioxane from the water supply.